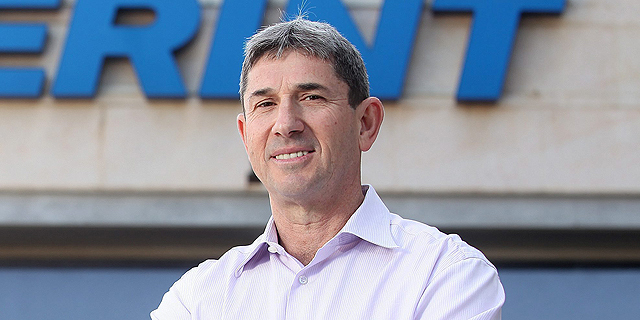 There are over 250 retail technology startups operating in Israel currently, and between them they have raised more than $1 billion in equity investments, according to data gathered by Israeli venture capital firm Jerusalem Venture Partners (JVP), Israel-based early-stage incubator and investment fund Nielsen Innovate Fund (NIF), financial consulting firm Deloitte, and Israeli retail innovation platform The Shelf. 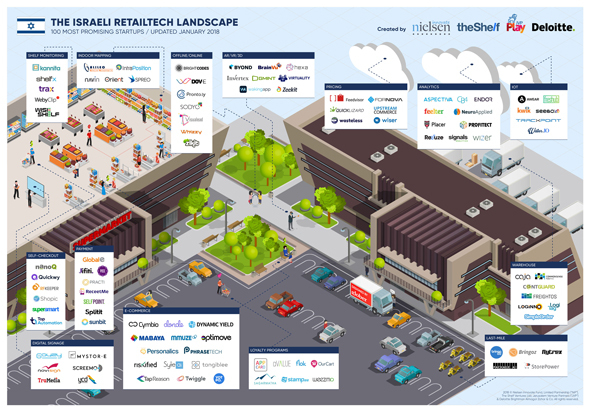 Last week, the four firms published a map of the Israeli retail technology landscape, featuring the sector’s 100 “most promising startups,” divided into 14 categories including ecommerce, analytics, Internet of Things, and payment processing technologies. The companies included in the 100 list have raised more than $880 million combined, with 19 of them having raised more than $20 million each. Israeli user-based marketing startup Yotpo ltd. raised a total equity funding of $101 million since its establishment in 2011. Among the notable startups in the retail technology industry are retail software company Retalix Ltd., sold to NCR Corporation for $650 million in 2012; augmented reality startup Cimagine Media Ltd., bought by Snap Inc. for $40 million in 2016; diamond ecommerce company R2Net Inc., bought by Signet Jewelers for $325 million in 2017; and personalized QR code startup Visualead Ltd., bought by Chinese ecommerce company Alibaba Group Holding Ltd. in the last quarter of 2017 for an undisclosed amount. Alibaba is one of several major multinational retailers, including Amazon, eBay, and Sears, which have recently established research and development centers in Israel and are actively scouting for Israeli retail technologies. In October, Amazon formally announced plans to open two Alexa shopping research and development centers in Israel. The company has recently leased 11 stories in a Tel Aviv high-rise and is in the process of recruiting around 100 employees in the country. Amazon has been present in Israel since 2013 when it bought Israeli communications chip designer Annapurna Labs. The U.S.-based ecommerce behemoth, which is also preparing to set up local retail operations in Israel, has been attacked on social media by Israeli tech executives for practicing an aggressive recruitment policy in the country and for disrupting the local industry by setting new salary standards for the local market.